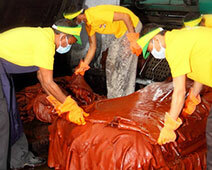 How to ensure workplace safety for women? Workplace injuries have become more common and they put your life at risk. Thus, it has become vital to ensure safety at your workplace. Though both men and women are prone to injuries, in this post we’ll mainly focus on the effective measures to ensure workplace safety for women. Let’s go through a few ways that will help you reduce the risk of work-related injuries. Not to mention, to reduce the risk of work hazards, it is important for you to know them first. Work hazards might be anything from heavy to sharp objects and you should know about all the possible hazards at your workplace. Learn about the injuries and identify the possible hazards related to your workplace. You can ask your staff or go through a safety checklist. 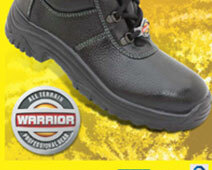 Once you identify the hazards,the best pair of safety boots in India can help you prevent majority of them. Whether or not you believe it, the workplace stress has affected the lives of women, increasing the risk of heart diseases. Job stress ultimately leads to unhealthy life choices and so it should always be reduced for worker’s safety. If you’re working at a workplace where you need to deal with heavy loads, picking them up and carrying them the right ways is essential. Bring the load close and keep your head up while lifting. Not to forget the safety boots or shoes. PPEs are the best way to reduce the risk of injury dramatically. Make sure that you wear all the equipment such as gloves, safety shoes or boots, earplugs etc. that are necessary at your workplace. To ensure safety and a healthy living, every women should be encouraged to take breaks form their regular activity in every 2-3 hours. Working in a static position for the entire day can be very dangerous for your health. Therefore, it is necessary that you work in small breaks. Ergonomics is important to make sure that equipment used in the workplace and the workers interact safely and most efficiently. The workplace should be rearranged in a way that everything including the machines used is within easy reach. Have a question on mind? Share them with us and we’ll provide you with an answer.